Congratulations to all of the participants in the Bethel Student Film Festival. The photos and videos submitted by students of all ages were impressive. 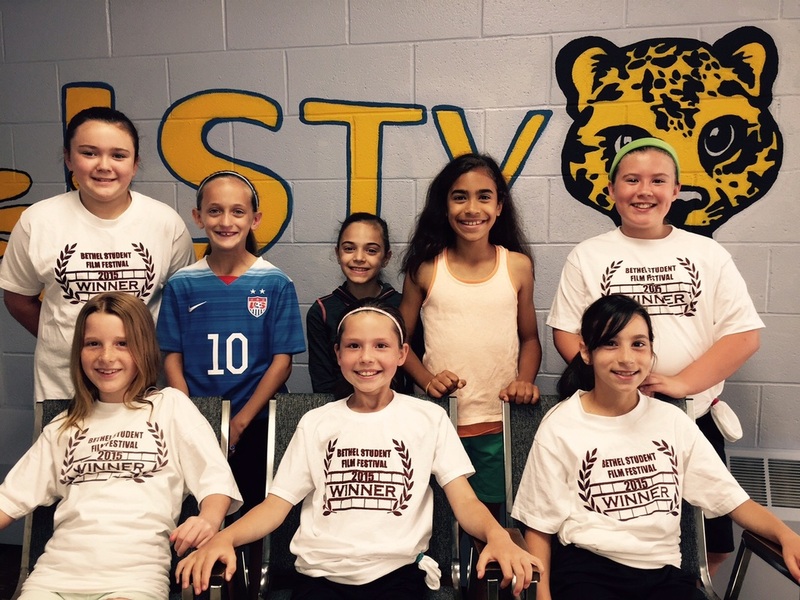 Below is a photo of the Johnson School winners. This week all 4th and 5th grade students at Johnson School joined a national movement to celebrate Computer Science Education Week by participating in The Hour of Code during Computer and Media classes. We kicked off the event with an inspirational video from President Obama. Students were highly engaged in solving puzzles and writing code to create their own games. Upon completion students were able to print out a certificate of participation. Mrs. Gallaer's Homeroom participated in a Mystery Skype. Students worked cooperatively to determine the location of the mystery class. We discovered that they are located in Ohio. It was neat how they held up a sign to let us know that they were thinking of a question after listening to our responses. Today Mrs. Wicklund's class participated in a Mystery Skype with a class from Illinois. In preparation for the Skype the class worked in partnerships to generate yes/no questions to use to help determine their location in the United States. The students used their knowledge of the regions, states and geographical features to successfully solve the mystery! Today Mrs. Esposito's homeroom participated in a Mystery Skype session during computer class. We spent our previous class time preparing for this exciting activity by generating questions to ask to help us guess the location of our mystery friends. We used iPads to mark maps as we worked to track down their location. We were able to figure out that they live in Texas. Photography club students had fun today exploring vintage cameras. Thank you to Mr. Moscowitz for sharing them with us! 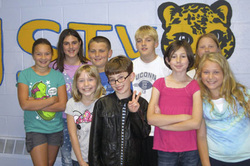 So proud of my 5th Grade TV Crew who just completed their first TV Show, Meet The Principal. Especially impressed by Johanna who stood in as host at the last minute and blew it out of the water! Today my fourth grade technology students went on a field trip to the Apple Store at the Danbury Fair Mall. The students brought photos on a flash drive to create videos in iMovie with support from Jamie and the wonderful Apple Staff. We had a great time on our trip and will be sporting our shirts proudly! Thanks Apple! Today Mr. DiSalvo's class took part in a Mystery Skype activity. I was able to connect with the teacher via Twitter in order to set up this experience. In preparation the class wrote up questions with yes/no answers to ask our mystery guests in order to determine their location in the United States. The students were engaged in the activity and enjoyed using their geography skills to solve the mystery location of Iowa. The clues that helped us most were that they live in the Midwest and near the Missouri River. I have been teaching computers to 4th and 5th grade students for 6 years.